Homicide invest gators have the DNA of a suspect wanted in a cold case shooting murder. Now all they need is a name. They are urging members of the public who suspect who the shooter may be to contact police. 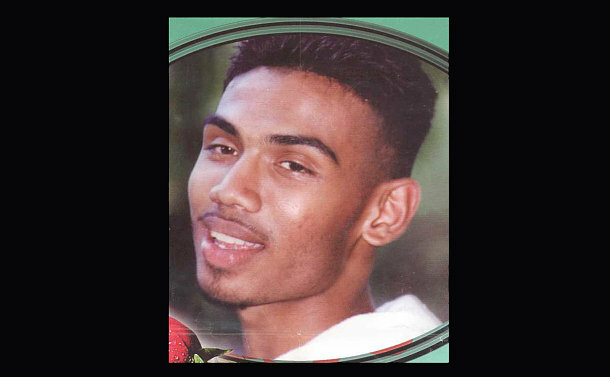 On Monday, October 1, 2001, at 9.27 p.m., Sudarsan Velauthapillai was ambushed and fatally gunned down at 72 Avening Dr. after he and his girlfriend had returned home from dinner at a nearby restaurant. Gallant said Velauthapillai was a courier and, two weeks prior to his death, his close friend was murdered in Scarborough. After Velauthapilli’s shooting, a search of the area yielded numerous cartridge casings and a fisherman-style hat with a blue-black- and-white camouflage design that fell off the shooter’s head. The suspect is described as a male Sri Lankan, brown skin with medium height and weight and aged 22 to 25. Gallant said the investigation revealed that the deceased was associated to others involved in Tamil organized crime. In March 2002, a DNA profile was developed that investigators believe belongs to the shooter. Anyone with information is asked to contact police at 416-808-7400, or to give a tip to Crime Stoppers anonymously at 416-222-TIPS (8477), online at 222tips.com, text TOR and your message to CRIMES (274637).